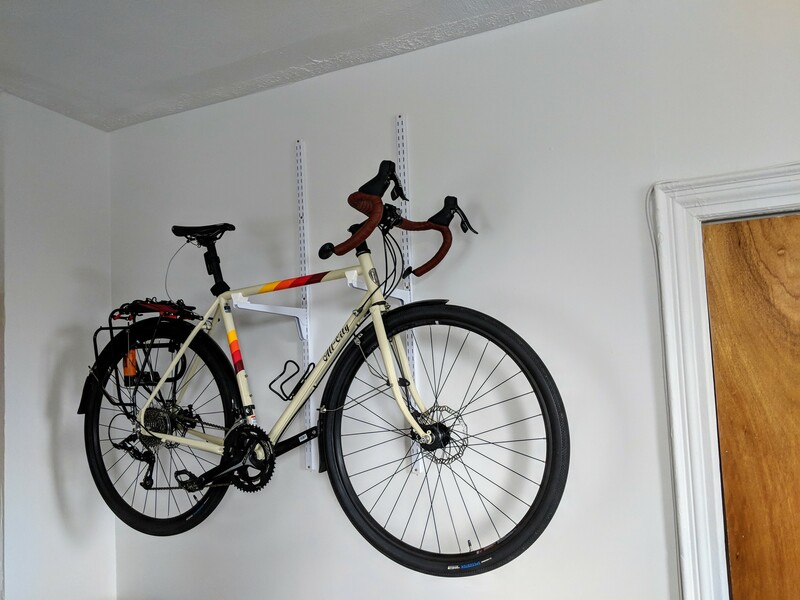 My wife and I live in a one-bedroom apartment in Brooklyn and I'm a bike commuter, so the background of this project is pretty self-explanatory. I looked through available wall-mount solutions, and didn't find anything I was comfortable with. I decided to design a custom mount with some versatility. 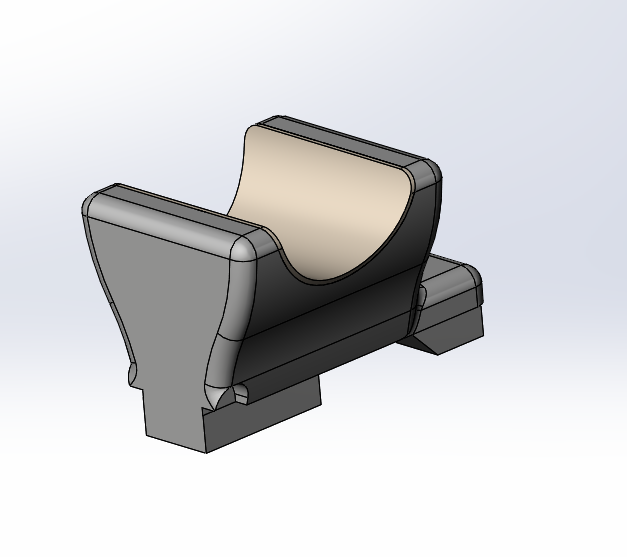 My mounting solution is built around heavy-duty heavy-duty shelf brackets from McMaster Carr. 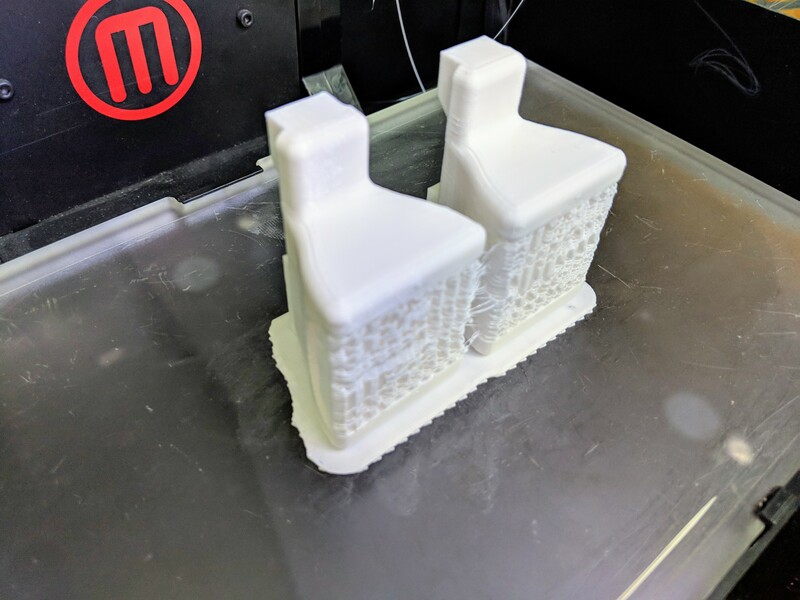 I designed and 3D printed some mounting adapters customized to the bike's top-tube angle and the one-inch granularity of the shelf mount heights so the padded cradles are aligned with the top tube when the bike's wheelbase is level. 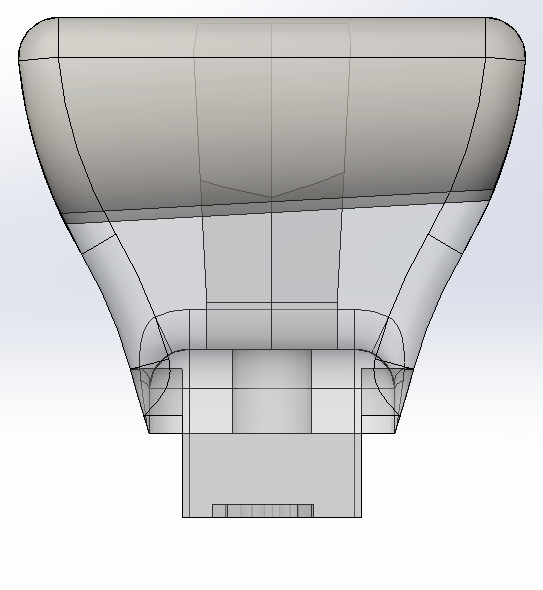 Each cradle is held to its bracket with a machine screw and a captive hex nut. The bike's frame is protected from scratches with an EPDM rubber pad on each cradle. 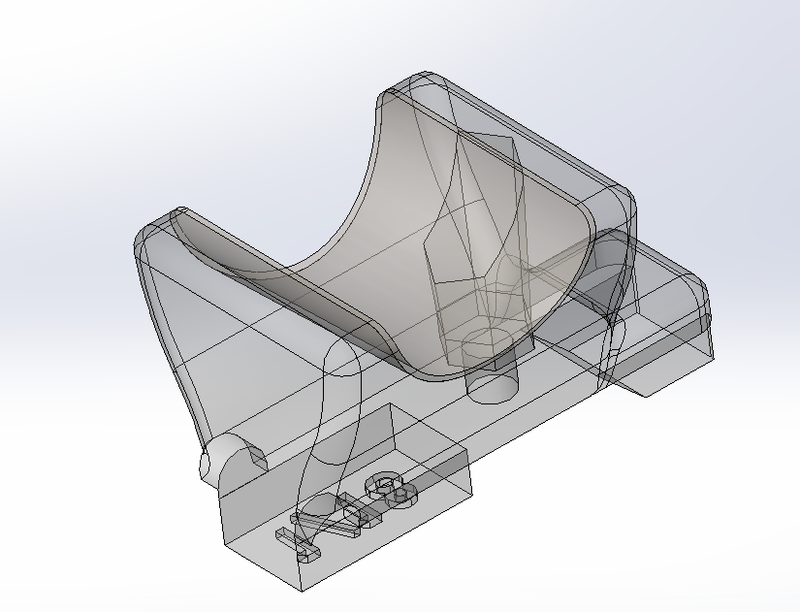 I used the sheet-metal design feature in Solidworks to model the rubber portion and printed out the flattened geometry on a laser printer for use as a precise cutting template. I printed several sets of the 3D printed adapter cradles for each bike I might want to hang on the wall. 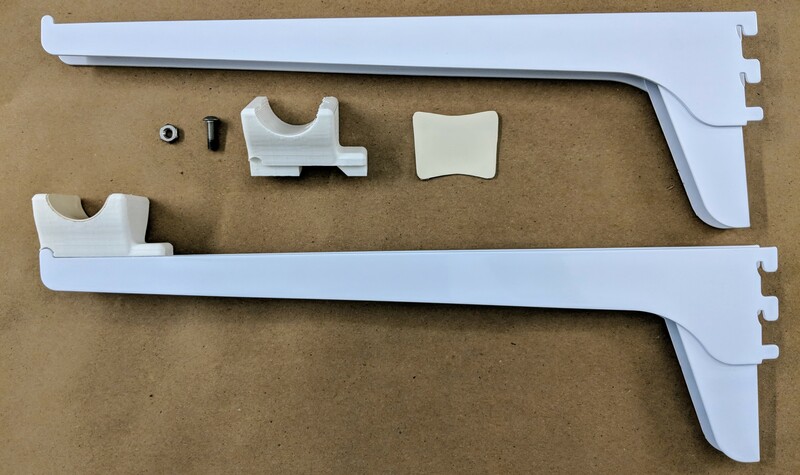 The shelf brackets are available in a wide variety of different lengths to accomodate different handlebar widths. 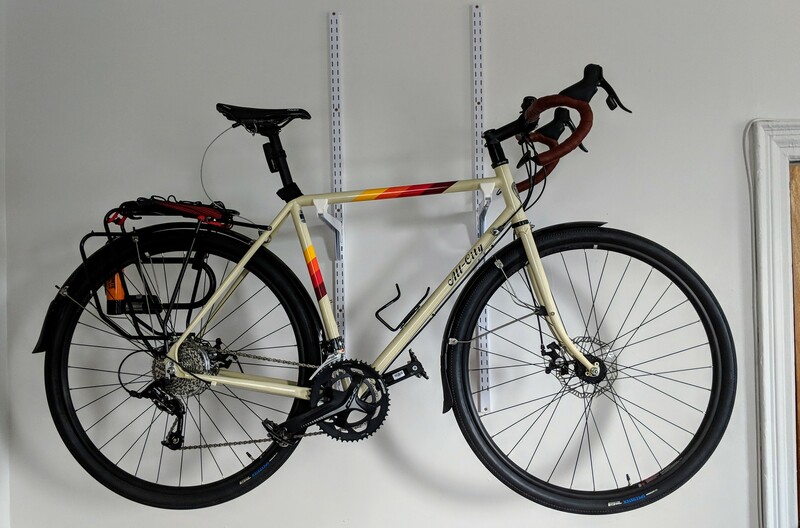 I typically keep the All-City Space Horse on the wall with our other two bikes stored on the floor beneath it I've also added a few short brackets behind the bike for helmets and other accessories.